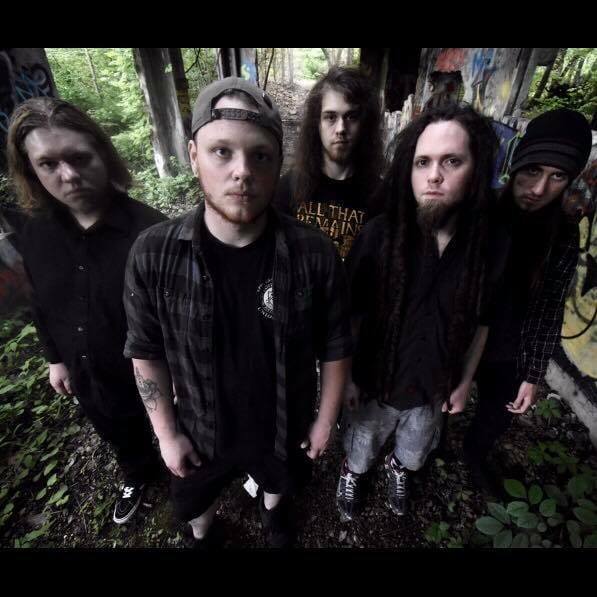 Oceans to Ash is an all-original Pittsburgh area metal band formed in December of 2016. By utilizing intricate rhythms and melodies, combined with crushing heavy riffs updated to a more refined style, they offer a wide variety of interesting sounds, resulting in an aggressive modern punch. Their unique sound pays homage to their musical influences while also introducing a new sound to today's music scene. Oceans To Ash recently released their newest single, so let's get up to speed and see how they fare against the big boys in the heavier genres. The track gets going right away with some nice mosh-ability while some melodic whirlwinds come and go early on. The breakdowns later on really take things up a notch. They don't overpower the track. The melodies are definitely the star of the track. The guitar solo on the track is top notch and shines bright. Towards the end is a circle pit type breakdown which the live crowd should enjoy greatly. The upbeat chorus helps close things out on a high note. These guys are for real and whether it's singing along or moshing, there's something that you'd like as a fan of the heavier genres. Oceans To Ash set the Hard Rock/Metal bar high with their new incredible single. 1. How did you get started with music and how did you develop your sound? Who thought of the name “Oceans To Ash" and is there any meaning behind it? Kris, our guitarist, came up with most of the song parts for the first couple songs over the years of playing in various other bands. When his unique re-imagining of 2000's era metal met with Cody's groovy bass rhythms, John’s intricate percussive styling, and Christian’s unique voice and lyrical content, it was hardened into something all its own style. Then we found Ben, the final piece to the instrumental aspect of the puzzle, and he keeps the guitar-crushing perfectly balanced with Kris. Our name “Oceans to Ash" comes from a combination of a few other names that were tossed into the mix. We settled on the name after many nights of throwing names out and doing research to see if they were already taken. We landed on something no one else had, so we kept it, and the meaning behind basically goes something like this… We could have some sort of apocalyptic disaster in the very near future, but we still have the chance to prevent it from happening, since even though we’re already headed down that path, we’re still currently at a point where we can veer it off course, if we so choose. The actual words of the band name shows direct dichotomy between Life and Death. Oceans are vast and beautiful, a source of life to this planet. Ash represents what we could become if we make the wrong choice. We want to catch people’s attention with our riffs, but we want to keep their attention with the meaning in the lyrics. We have many ideas that we want to convey as a band and that’s exactly why we put so much time, energy, and meaning into every word and note written. From violence in our country to global warming issues, even suicide prevention, we try to make every song have a particular "vibe" and specific meaning behind it. Our sound can best be described as crushing heavy riffs and catchy chorus sections combined with spacey, effect-driven, ambient guitar parts to add a certain dynamic to our songs that you won’t find anywhere else. It brings a whole new style of melodic metal to the table that we think the scene has been missing in recent years. Pantera - Far Beyond Driven, Our Last Night - We Will All Evolve, Tool - Lateralus. 6. What’s your take on the current state of Hard Rock? Two answers. Big Leagues = Pathetic. Local = Incredible. We see so many of our childhood heroes going down a path we never expected, not delivering, no more meaning in the message, dried up, versus so many local bands on the rise who still have something valid to say with their music. And that’s exactly why we exist, at least in this form that we have evolved into together, along with all the other awesome local metal bands we play shows with. You have to think about things like, “What’s my message here? Who is my true fanbase? Does the art I create connect with them anymore? Am I only writing a new album for the sake of keeping the gravy train rolling?”. Unacceptable. Even if you do happen to have a reason for people to care about you, you have to show it to them if you want to keep their attention. You need to deliver something powerful. Something iconic. Something that changes the face of the state of music, at least within your genre. You have to fight against the powers that be and show them what you’re made of, and that’s what a lot of our lyrics are about, be it social and economic issues that need to be dealt with, religious and political hypocrites, media corruption, etc. Just never forget where you came from, never back down, never take “No” for an answer, keep trying, never give up on yourself and you’ll eventually get to where you want to be. 7. What’s the current music scene like there in Pennsylvania both locally and state wide? The scene in PA seems to change with the area. The local Pittsburgh scene all but died out over the past decade but in recent years many people are taking it on themselves to better it for the whole community. There’s been a sudden surge of hype and people wanting to attend shows and support their local bands. Here’s the honest truth of how we feel about it. It’s definitely a double-edged sword, but a necessary evil. It’s a ghost we have to live with, but the glass is half full. Think about it. Make that Free Song Download post on Facebook, and before you know it, those new fans are downloading your song, falling in love with your band, getting a feel for the mix and overall vibe of the rest of your upcoming album, and that one new fan is much more valuable than $1 ever could be. It is, after all, what ultimately led you guys to us, and that’s saying something. 9. What’s next for Oceans To Ash? We hope to bring our music to as many people as possible. Whether it be online, local shows, or playing big festivals, we just want to get noticed and reach as many people as we can with our message. We hope to grow our fanbase and begin touring as soon as it’s a viable option for us. Yes. A big shoutout goes out to all our friends, our families, our true fans who Like our Facebook posts, anybody who buys a t-shirt or CD from us online or at a show, and definitely our crew who helps us with loading our gear in and out of the venues at shows.